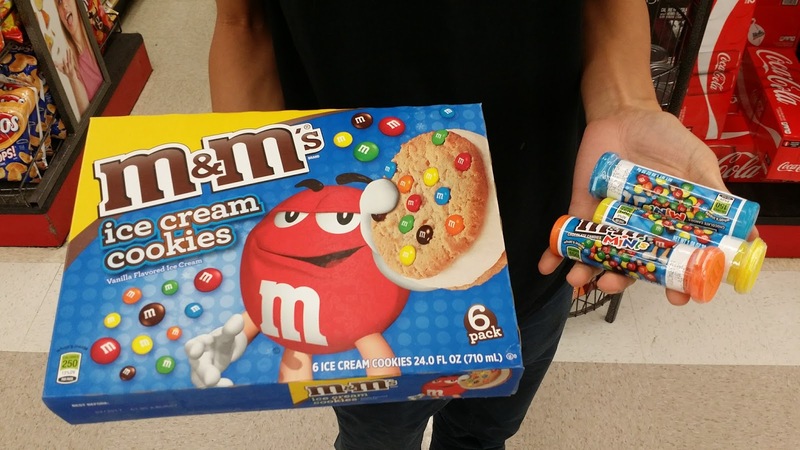 When You Crave Supermarket M&M Ice Cream Sandwiches... - EAT WITH HOP! There was a time that I got had mad cravings for just a regular good-ole ice cream sandwich from the supermarket. I didn't want just any ice cream sandwich. Those fancy ones from Snow Monster wouldn't cut it. Nor would those other gourmet cookies with gourmet ice creams do (like the ones at Chunk n Chip or something). What I really really had to have was an ice cream sandwich from the supermarket. I don't know, it was just madddddd cravings. Like it was one of those cravings where you can't function because trying to satisfy your craving is all you can think of. I guess I eat ice cream at specialized ice cream shops so often that I just wanted a simple and regular one. LOL Does that make sense? It was me, Kevin and Danny. 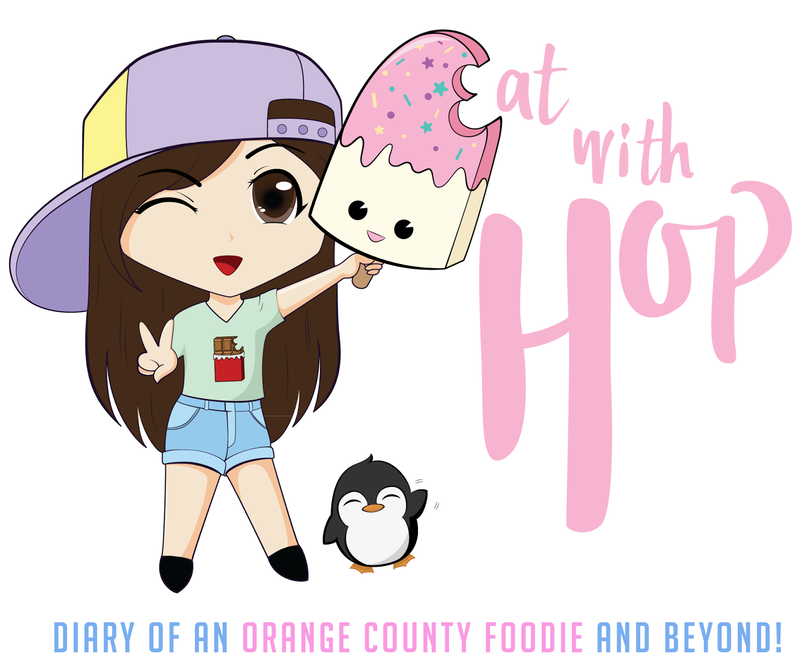 They tagged along with me to go on this little has-to-be-from-a-supermarket ice cream adventure and ended up at Stater Bros.
After browsing our options and figuring out which one would be the most cost-effective, we opted fo rthe M&M ice cream sandwiches! 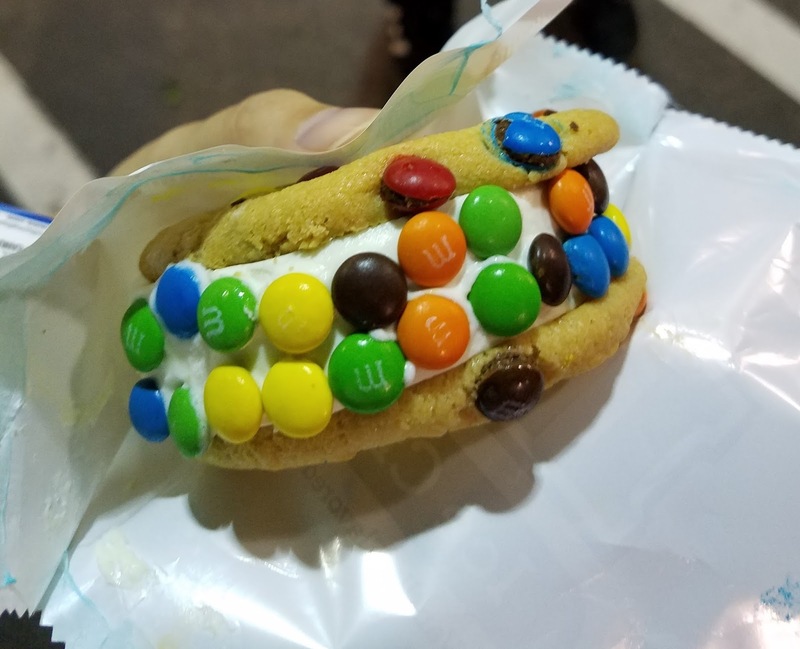 Kevin always complained about how it's lame that these sandwiches only have M&M candies in the cookies but not also in the ice cream. So.... we bought mini M&M candies for a few bucks! 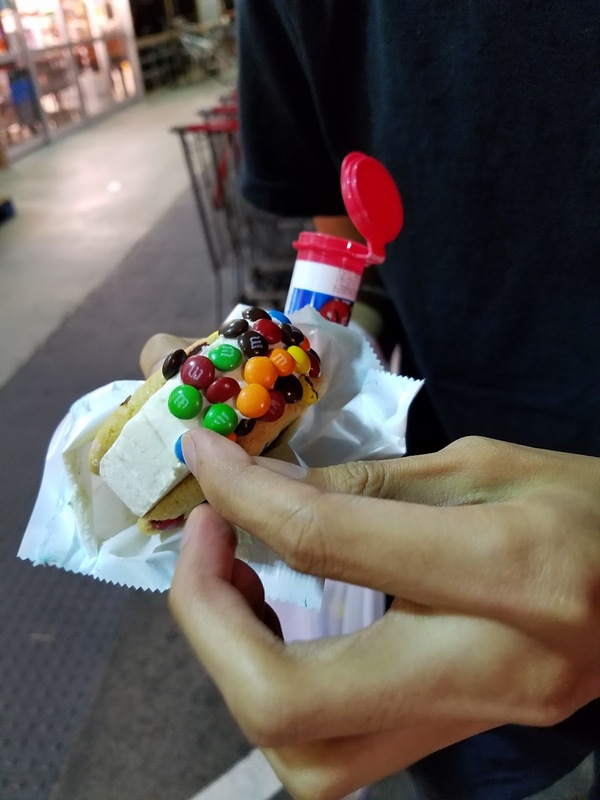 We each had our own mini M&M candies tube and carefully laid out each M&M around the ice cream sandwich. Doesn't it look so much better and more worth the money now that the ice cream is covered in candy?! It was a genius idea at first. 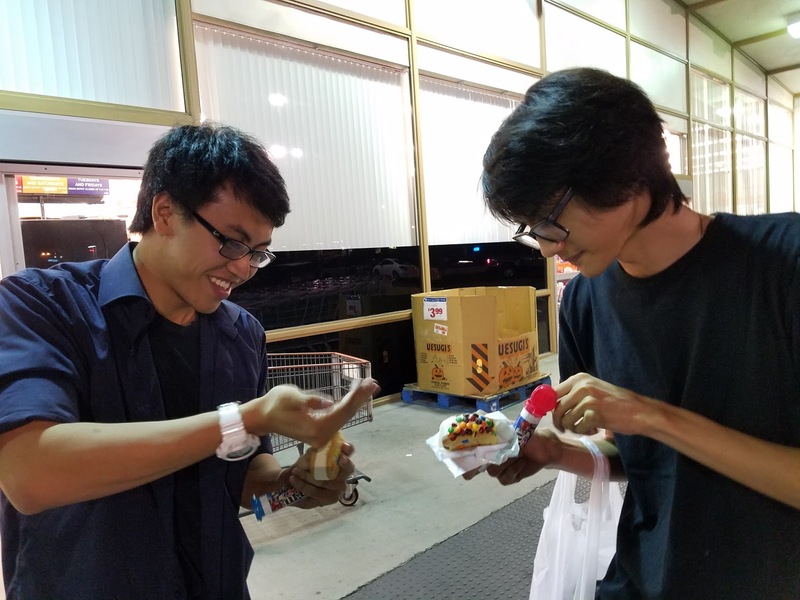 And then after a few bites I realized that my taste buds are different and M&Ms taste sorta weird and too artificial (omg im gettin` old) from the outside layers. Not only that, but having bites of M&M candies in every single bite actually became tiring and boring to eat. I guess I will just stick to how they are normally. Anyway, cravings satisfied! WOO! !